A Supreme Court Bench of Justices K.S. Radhakrishnan and A.K. Sikri in Criminal Appeal N0. 369 of 2006 in Dharam Deo Yadav vs. State of U.P. while modifying the death sentence awarded to Dharam Deo Yadav, who murdered Diana Clare Routley, a 22-year-old girl from New Zealand who visited Varanasi in 1997. The court in the judgement has emphasised the need to adopt scientific methods in crime detection to save the judicial system from low conviction rates. 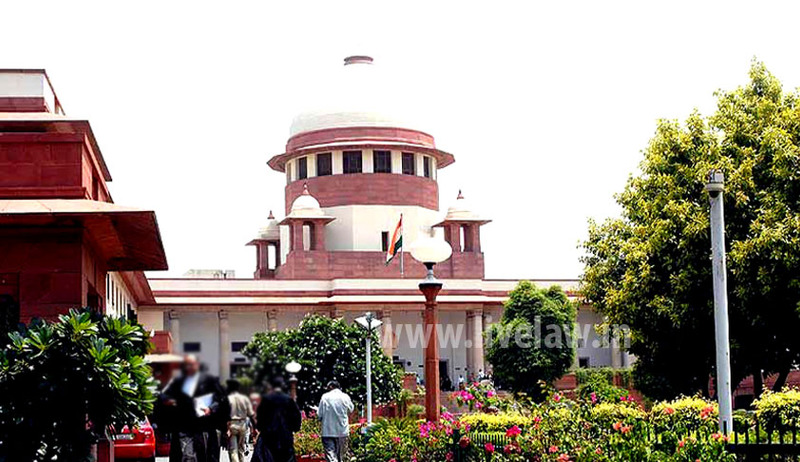 The Apex Court Bench considered whether the case fell under the category of rarest of the rare case so as to award death sentence and laid down Shankar Kisanrao Khade v. State of Maharashtra wherein the Court laid down three tests, namely, Crime Test, Criminal Test and RR Test. According to the Court both the Crime Test and Criminal Test were satisfied as against the accused. Counsel Shri Sunil Kr. Singh appeared for the accused. Shri Ratnakar Dash, Senior Counsel appeared for the State. The Apex Court was of the view that, due to lack of any evidence with regard to the manner in which the crime was committed, which made the entire case rest upon circumstantial evidence, the case would not fall under the category of rarest of rare case. It was therefore inclined to commute the death sentence to life and award 20 years of rigorous imprisonment, over and above the period already undergone by the accused, without any remission. The Bench was of the opinion that this would meet the ends of justice and thus disposed the appeal and altered the death sentence to that of life for the term. The Apex Court Bench stated that hardened criminals get away from the control of the law as reliable and sincere witnesses to the crime rarely come forward to depose before the court. Therefore, the Court was of the opinion that investigating agency has to find other ways and means to improve the quality of investigation, which can only be through the collection of scientific evidence. Writing the judgment, Justice Radhakrishnan said there was a need to strengthen forensic science for crime detection and the judiciary needed to be equipped to understand and deal with such scientific materials. It said as far as the present case was concerned, the DNA sample from the skeleton matched with the blood sample of the father of the deceased. All the sampling and testing was done by experts whose scientific knowledge and experience were not doubted in these proceedings. It was of the opinion that therefore, the prosecution succeeded in showing that the skeleton recovered from the house of the accused was that of Diana, daughter of Allen Jack Routley and it was none other than the accused who had strangled Diana to death and buried the dead body in his house. It was found by the Trial Court that the case fell under the category of rarest of rare case. The accused, aggrieved by the same filed Criminal Appeal No. 1000 of 2003 before the High Court of Judicature at Allahabad and the State filed Government Appeal No. 2726 of 2003 against the order of acquittal passed against rest of the accused persons. Both the appeals were heard along with Criminal Reference no. 21 of 2003, which was dismissed by the High Court confirming the death sentence awarded by the trial Court, and held that the case in question fell under the rarest of rare category, against which this appeal was preferred.